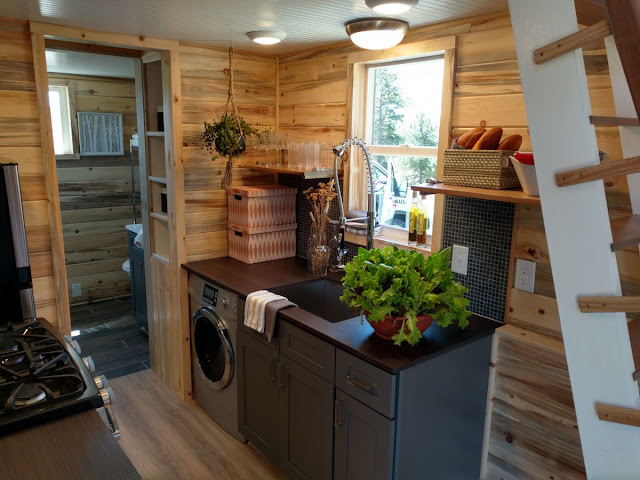 Penny’s Tiny House is a child-friendly home that parents can enjoy as well! 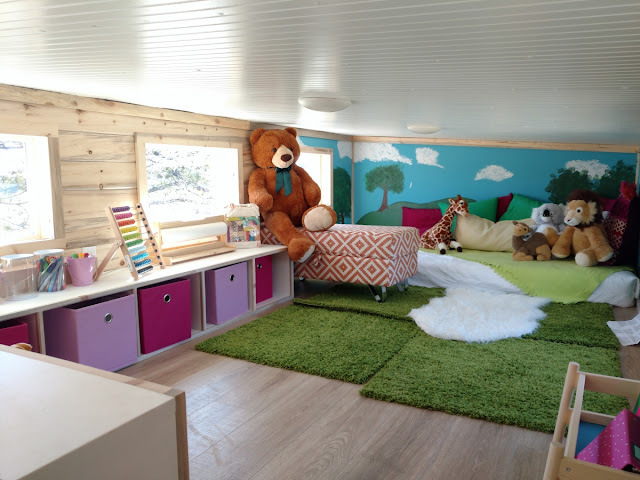 Designed and built by The Tiny Home Co. of Colorado, this home is perfect for families with kids! 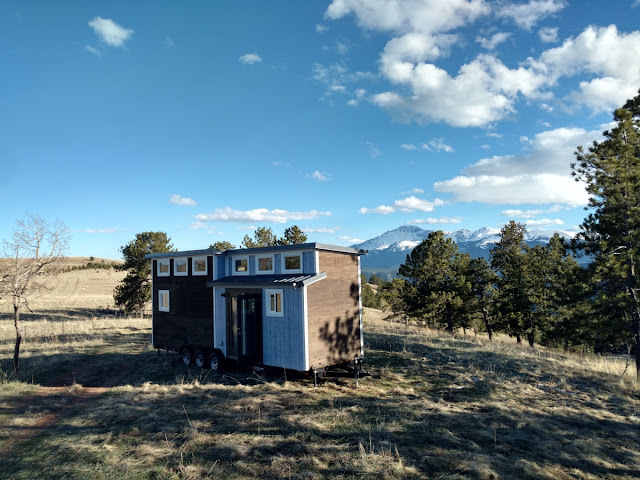 When you enter this house, you have a decision to make. 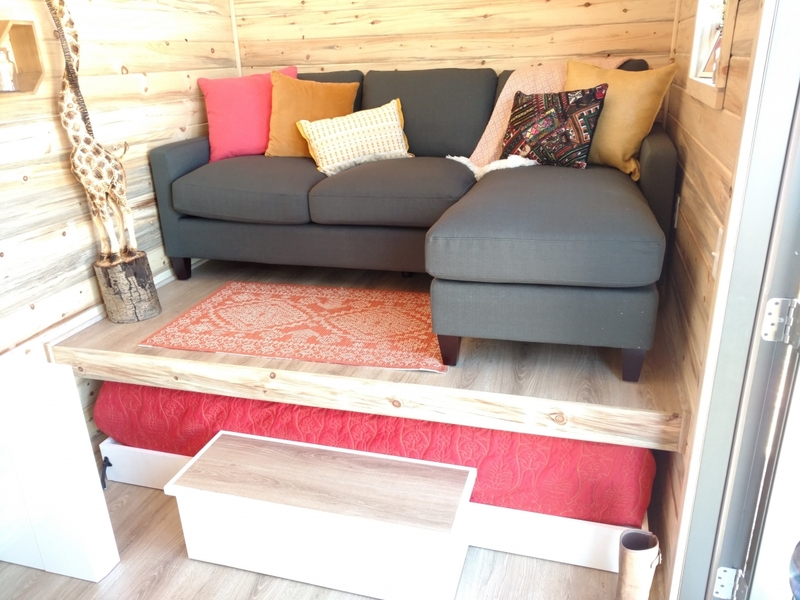 You can go to the right and lounge on the gray sectional sofa, go up the ladder to the lofted child’s room/playroom or go past the ladder to the kitchen and bathroom. If you like to cook, this beautiful kitchen should meet your standards! 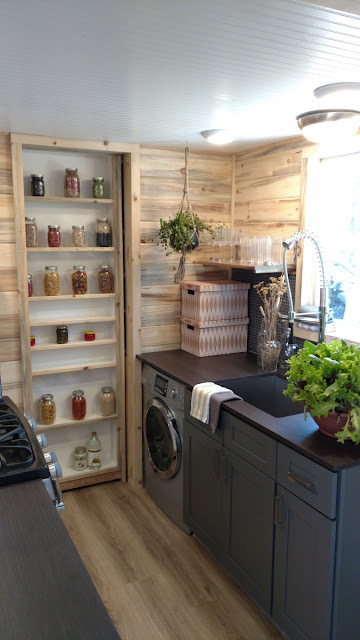 The right side of the kitchen has a large farm sink, shelves for storage and a washing machine beneath the counter. 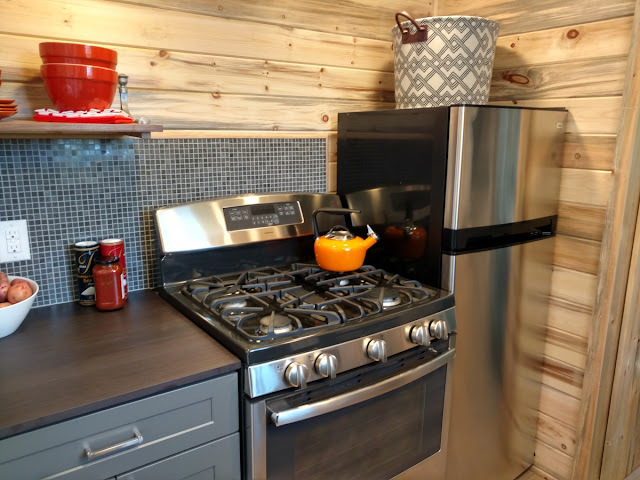 The left side of the kitchen has additional counter space, a 4-burner stove/oven and a full-sized refrigerator/freezer. 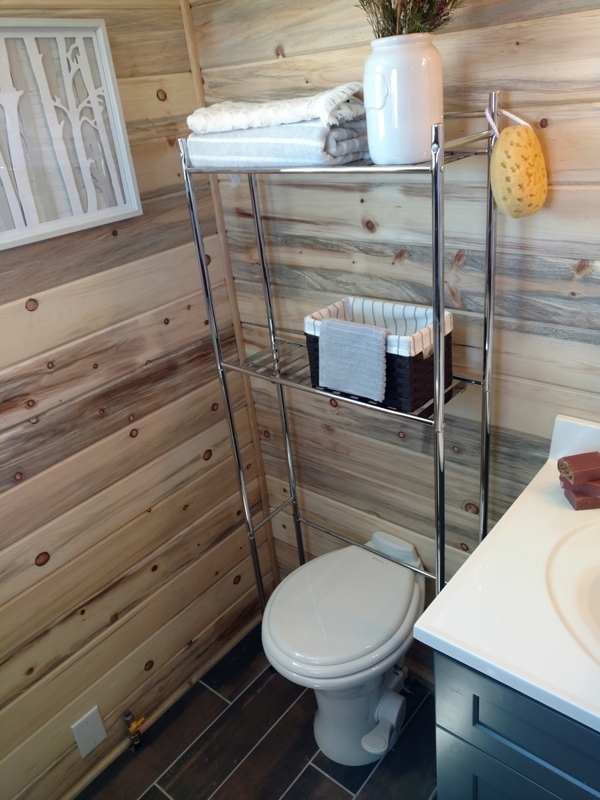 A clever floor-to-ceiling shelving unit is built into the exterior of the bathroom door expanding kitchen storage. 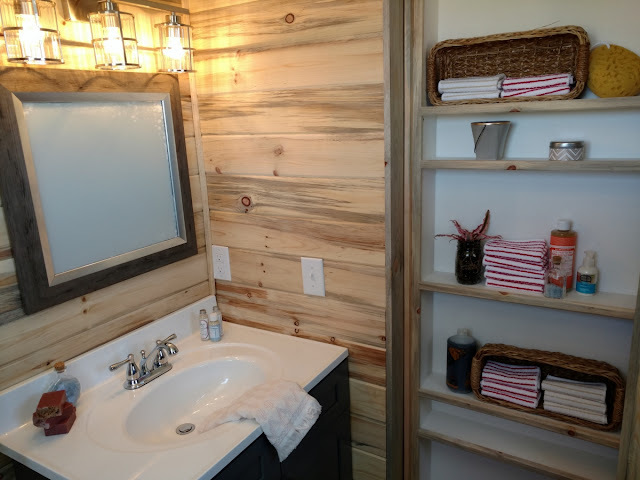 Further, this same shelving is seen on the interior of the bathroom door as well! 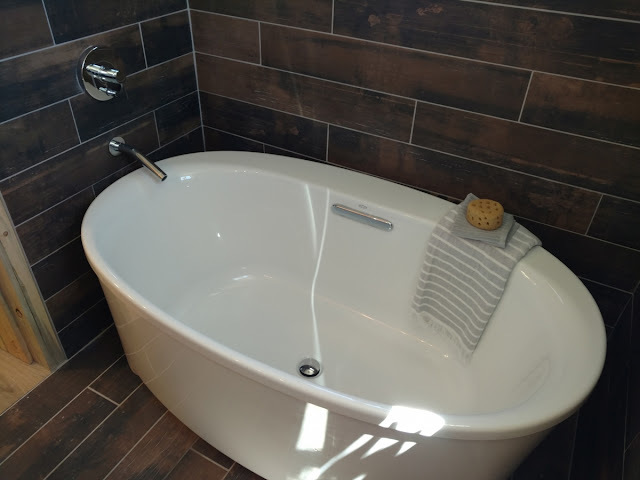 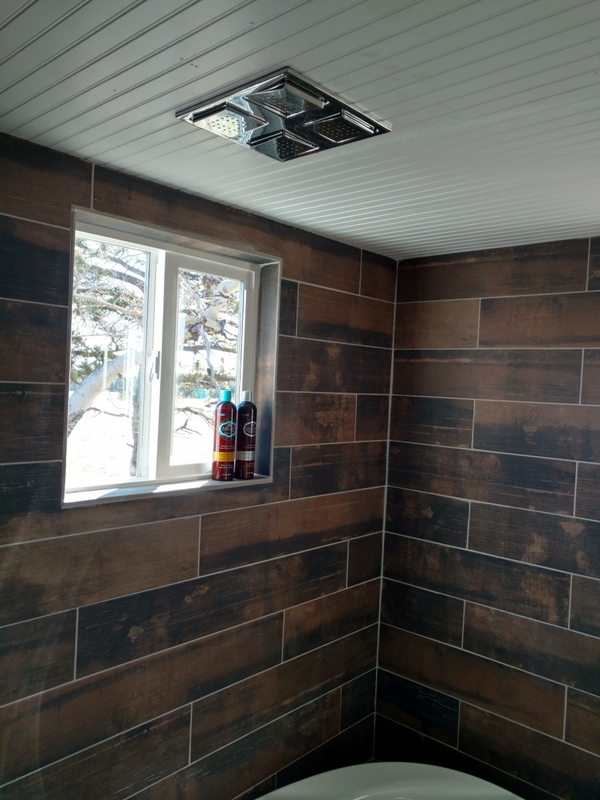 On the opposite side of that sliding door, you’ll see a pretty spacious bathroom furnished with a toilet, vanity, rain shower and deep white tub. 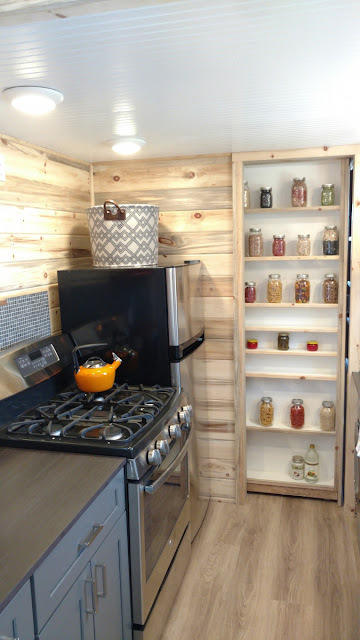 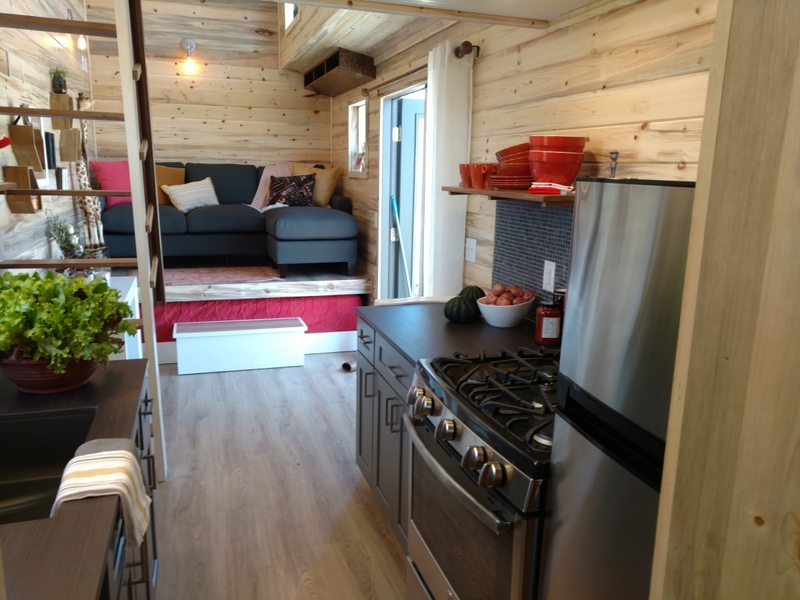 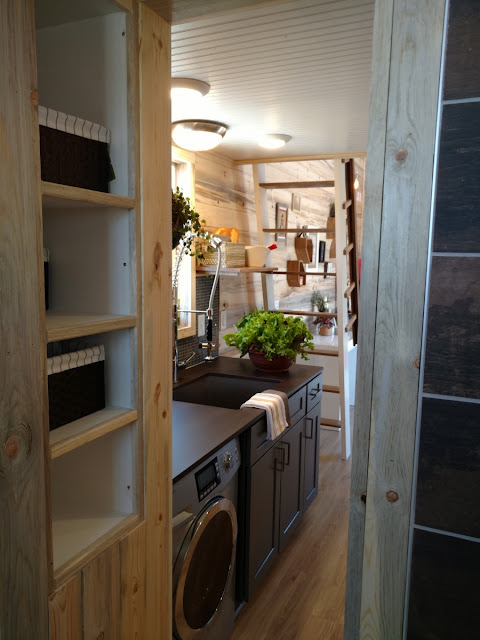 For more information on this tiny home, contact The Tiny Home Co here!